PiHome version 1.x is faster and support the remote control of your heating systems from any where in the world without to changing or opening any ports on your router with PiConnect. 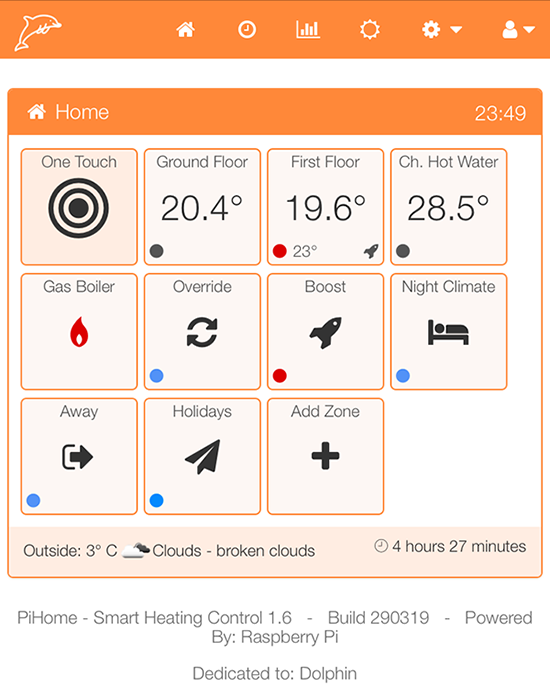 Simply send email to info@pihome.eu to get this feature enabled on your PiHome Smart Heating. Version 1.6 Dolphin released to GitHub on 2nd April 2019 enjoy and leave comments. Boost control for each Zone.